The companies that manage the pleasure boat moorings in the historic centre of Venice will be at the show with the Venice Superyacht Destination brand to promote an integrated offer of services for luxury yachting. The Boot Dusseldorf boat show – the primary international showcase for pleasure boating of all kinds – is the scene of the first co-marketing initiative of the companies that manage the pleasure boat moorings in the historic centre of Venice: Venice Yacht Pier, Venezia Certosa Marina and Marina Santelena. The initiative, established a few months ago, launches with a stand at the show informing shipowners and captains about the provision of services in the lagoon city, setting out the three different mooring possibilities in the unique setting of Venice’s historic centre. 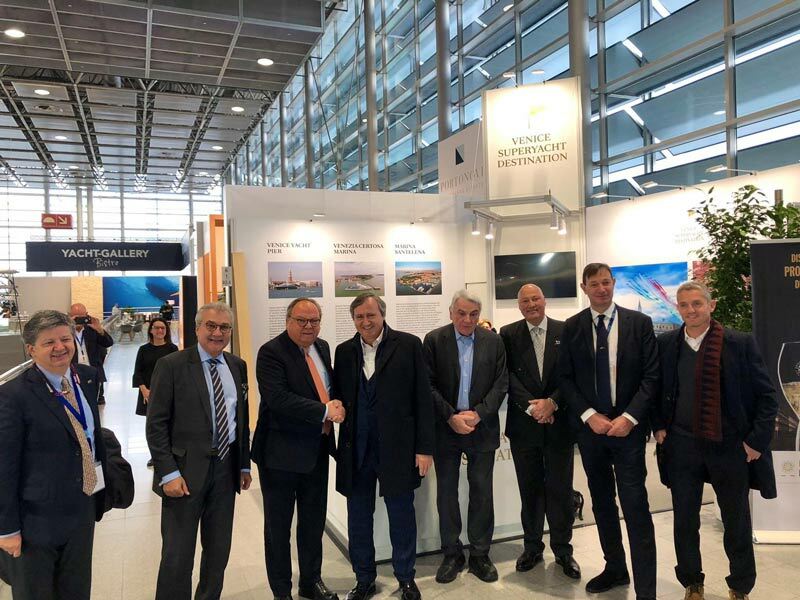 “The idea of a combined stand of the major Venetian companies in superyacht hospitality originated from talks at the ICOMIA World Conference in Athens with the managing director of the Dusseldorf trade show, and the journey between concept and implementation was short thanks to the enthusiasm shown by the partners of Venice Yacht Pier and Marina Sant'Elena. The slogan Venice Superyacht Destination was created with the aim of informing shipowners and captains about mooring services for pleasure boats, outlining the service offered by the city in a single combined platform and promoting the high quality tourism that characterizes luxury yachting and related activities. Taking part in the Boot at the Superyacht Pavilion is only the first step of a territorial marketing project that aims to promote the presence of superyachts in Venice, not only during the glamorous events in the city but throughout the year. 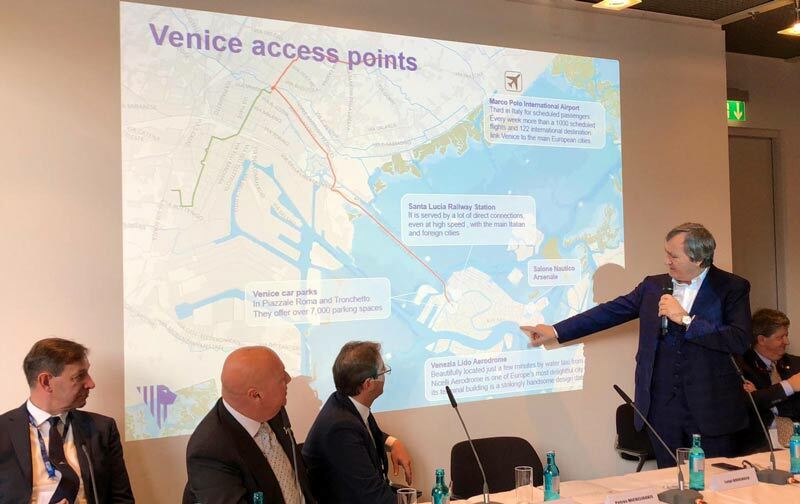 The union of operators enables the quality of the offer to be developed, visitor information to be implemented with a complete and transparent description of the current regulations, a wider market to be reached, collaboration with the institutions in the administrative management of the activities and together development opportunities can be met such as the new Venice Boat Show at the Arsenale”, said Alberto Sonino, Sole Administrator of VdV Srl, the company that manages Venezia Certosa Marina, “When the opportunity to present ourselves with the other two marinas in the historic centre Venezia Certosa Marina and Marina Santelena in an international trade fair such as the Dusseldorf Boot was proposed to us, we immediately and enthusiastically accepted. 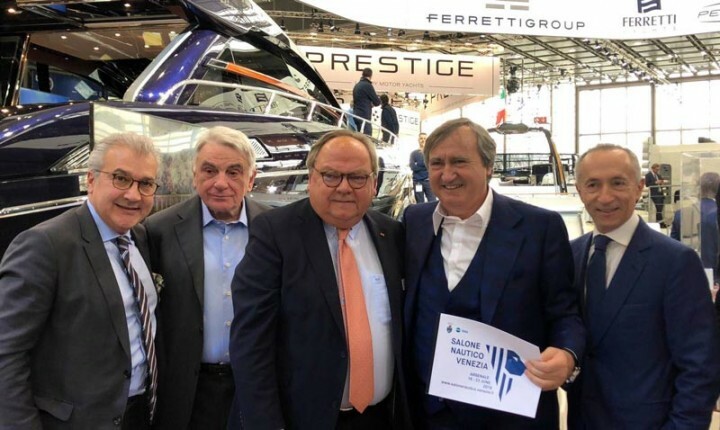 We are certain that the synergies we can create with the Venice Superyacht Destination brand can guarantee great development for the superyacht market in Venice and the support of the Venice authorities for the initiative, in addition to the new edition of the Venice Boat Show in June falling entirely within a single scheme for the revival of luxury yachts in Venice”, said Galliano Di Marco, chairman of Venice Yacht Pier Srl.